I don't agree with you! 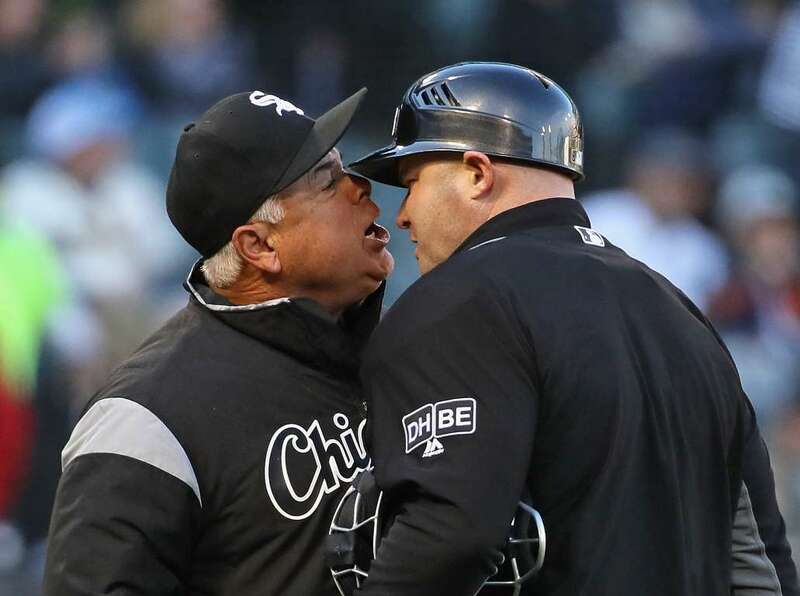 Manager Rick Renteria of the White Sox argues with home plate umpire Mike Estabrook after being thrown out of the game against the Mariners for arguing on Tuesday in Chicago. Photos - U.S. Daily News: I don't agree with you!